The following steps are involved in report business writing. 1. Appointment of a Reporter: A reporter is appointed specifically by means of an order. The order contains the subject matter to be investigated, objectives of investigation, the area of investigation, a list of inquired persons, time frame for submission of report and the like. Based on the order, the reporter is going to investigate and submit the report as per the guidelines. 2. Determine the Scope of the Report: The scope of the report should be well defined for getting clear cut information. If so, relevant and important information are collected and avoided irrelevant and unimportant information in the report. Moreover, the reporter can easily complete the report writing. 3. Find the Sources of Information: The sources of information should be finalized from the beginning of the report writing. The extent of information determines the length and importance of the report. Major sources of information are company files, personal observation, interviews, letters, questionnaires etc. Company files are used to know the reasons for declining sales and increase the cost of production. Besides, the files contain the findings and recommendations for increasing sales and the ways for controlling or reducing the cost of production. Personal observation is followed for collecting the information whenever an accident or fire occurred. It needs on the spot inquiry to find the real causes for the accident or fire. A company can get complaints from their valuable customers. Now, the company prefer to extent better service and relationship with their customers for the purpose of reducing or avoiding complaints. At this junction, interview may be held with selective customers. Sometimes, instead of holding personal interviews, letters may be sent to customers. Questionnaire method is followed to collect information from large number of persons. The questionnaires are used to find the popularity of the products or introducing a new product. Questions should not be lengthy. The respondents are expected to tick the correct answers out of alternative answers instead of writing answers. If the results of a questionnaire are given in the report, a copy of the questionnaire should be enclosed. 4. Consider the Reader of Report: All the readers of the report are not uniform in nature. They are varying according to the nature or type of report. Moreover, many readers are going to take a decision on the basis of the contents of report. Hence, the reporter should be very cautious and considers educational level of the readers, position in the organization, previous knowledge about the topic of the report, age, experiences, department, preferences and attitudes of the readers. 5. 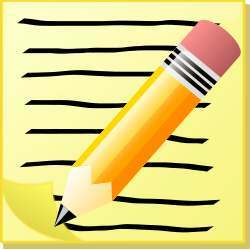 Taking Notes: A diary can be maintained by the reporter. He takes notes as and when the reliable information available. Sometimes, the reporter has no time to collect the information or unable to contact any individual for getting information. In this way, all the relevant information may be collected and included in the report. 6. Analyze the Information: The reporter should analyze the .information without any personal bias. A lot of data will be rejected while analyzing the data in right direction. Hence, the reporter need not to be in hurry manner while analyzing the data. 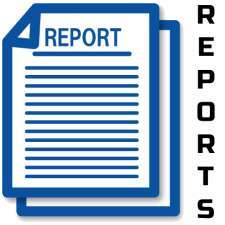 The collected information is arranged in a systematic way for presenting the same in the report. Hence, this is the important stage in writing a report. 7. Making an Outline: Now, the reporter has an idea of writing a report. Hence, he should prepare an outline to write the report. In this outline, purpose of report, information collected, brief analysis of information, findings, recommendations and conclusion arrived are briefly explained. These things are highly useful for writing a report systematically. 8. Writing the Report: First, a rough draft is prepared to improve the quality of report. Then, the rough draft is to be revised on the basis of comments of the others. The reporter can find the flaws in the rough draft. Hence, he can include all the relevant information and delete irrelevant information. Sometimes, he can edit the contents and find the grammar and spelling mistakes of the report. Finally, the reporter can present the report in simple and unambiguous language. Now, the report gets proper form for presentation.